Would You Like to Try Fasting and Prayer? How much do you need a prayer chapel? Praying about Tragedy? How do you do it? At college it’s hard to find quiet personal space where you can de-stress, meditate and connect with God. Here are some personal space ideas to help you find your go-to meditation spot on campus. 1. 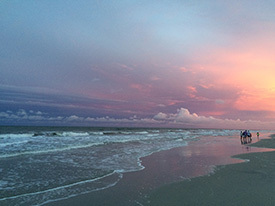 Ask: When and where do I need alone time to re-center? College is all about communal living, group activities, teams, social organizations, projects and studies. Even on those rare occasions when you’re actually alone, you’re always connected to people electronically. That’s why it’s so easy to become stressed out by not having alone space and time to meditate and pray. Ask yourself when you start feeling the most over-stimulated and stressed by too much going on around you. Is it in your dorm room? During a full day of classes? On the weekends when everyone is partying where you live? Also, ask yourself, “Where would I go if I was really upset and needed to be alone?” For instance, one night during college I had a fight with my boyfriend and I was on the verge of tears when he dropped me off at my dorm. I didn’t want to go in where random people would see how upset I was. And I didn’t want to go into my dorm room and have to explain what was going on with my roommate. Instead I started walking across the campus hoping it was dark enough that no one would notice I was crying. Once you identify the times you start to feel the need for alone time, ask yourself where you can find a good place nearby to get away from it all. 2. 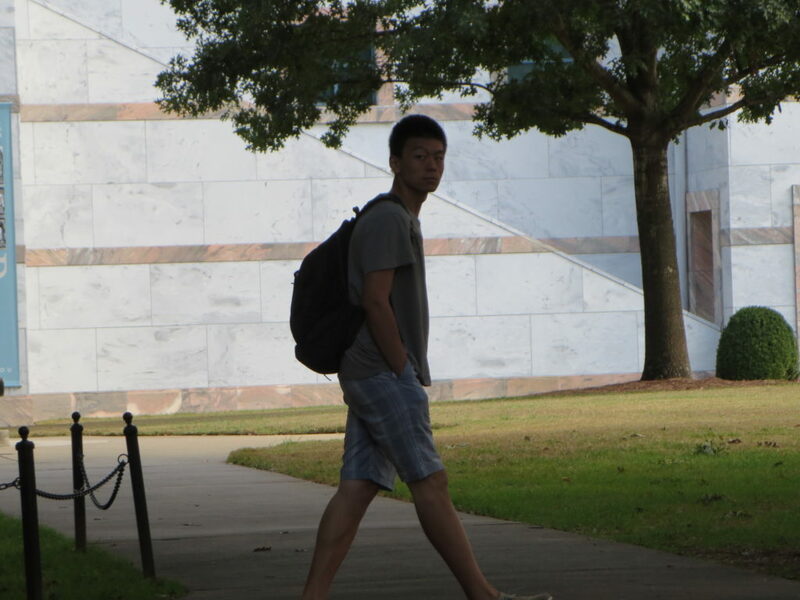 Explore on-campus areas designed for sanctuary. 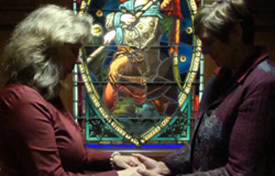 Many campuses have a chapel which is open for students to come in for quiet time. Most have set hours when they’re open. The night I had a fight with my boyfriend I ended up walking to the on campus chapel without realizing I had walked in that direction. It was open, so I sat down on a pew in the back, still crying. The only thing that I really prayed was “God help me.” But it was enough to help me regain control of my emotions. 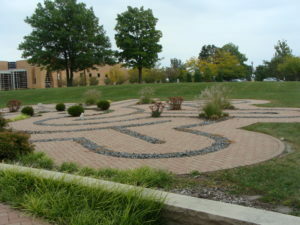 Some campuses have outdoor areas that are meant for meditation, too, such as a prayer labyrinth which is a pathway that only has one way in and one way out. You walk toward the center letting go of your problems to God. 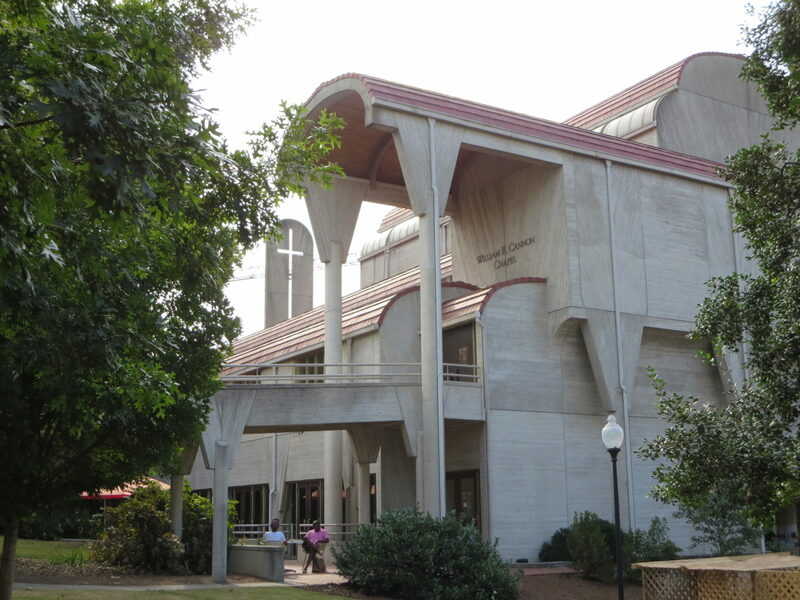 You may find that although there’s a chapel on campus, it may be locked up when you get there. 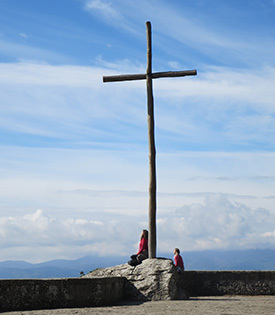 Explore areas outside around the chapel that might help you separate yourself from others. Don’t overlook small garden areas with benches, side porches of the chapel, etc. While visiting the University of Georgia campus I was looking for a prayer place and headed straight for the chapel. When I got there I was disappointed to find that it was an historic building and locked up except when someone was giving tours. I walked around the back of the chapel and discovered two potential prayer spots. One was a small area behind an administrative office with a little hedge around it and a bench. Another interesting spot was standing under the open girders of the wooden bell tower behind the chapel. Fans often stand under here and ring the bell for football games, but anyone can pull the rope and ring it just for fun whenever they’re there. 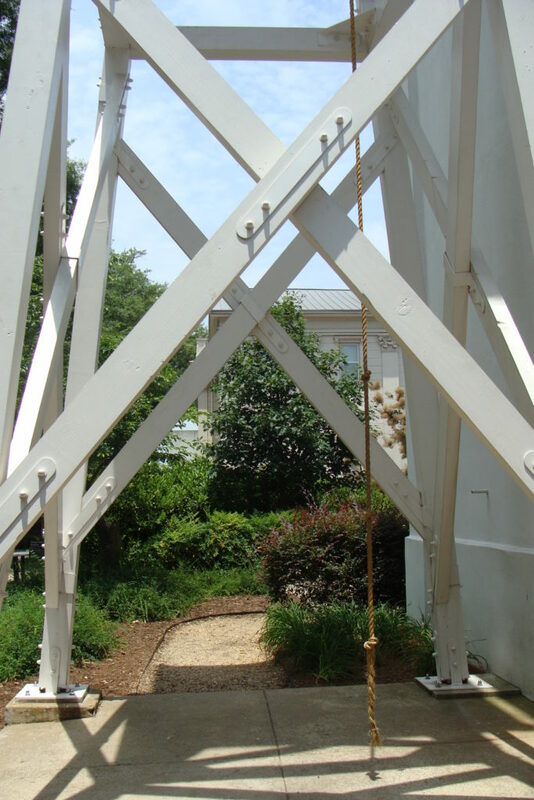 I stood under the bell looking up toward the sky, then I pulled hard on the rope and rang the bell as a way of praying and connecting with God. Most college campuses are blessed with green spaces and trees. Some even have small ponds and golf courses. 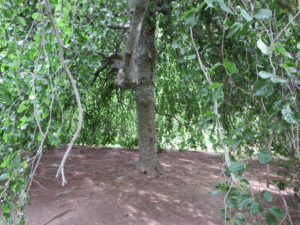 Finding a private spot under a tree or facing a serene setting is a very restful and healing place to meditate and pray. Recently while visiting a college campus out of state I saw this great weeping tree whose branches come down and touch the ground. I went under and felt like I was in a tent. 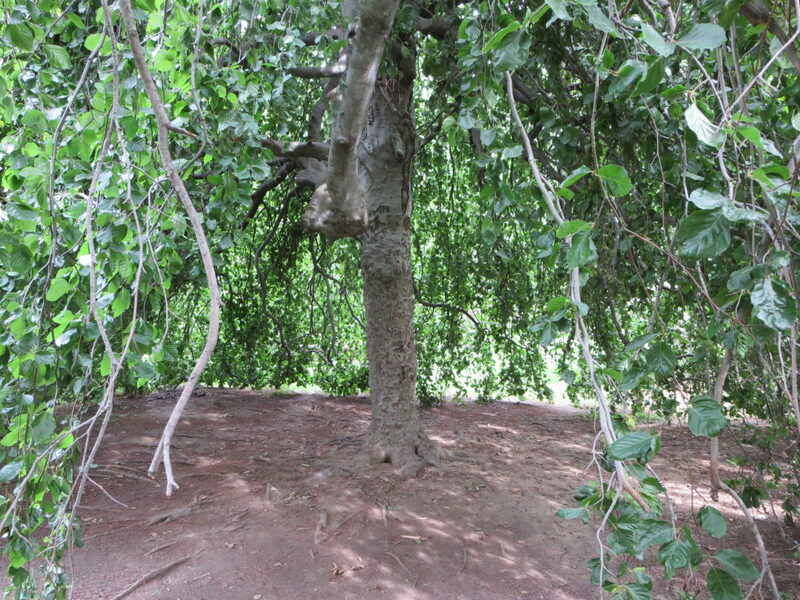 Finding a natural shelter for prayer such as this can become a place of refuge for you when you need it. If you have a car on campus, it can become your go-to place of sanctuary. Sitting in a parked car isolates you from everyone else and gives you a few moments of peace and quiet. One idea to enhance the feeling of sanctuary is to create your own soundtrack by selecting a favorite inspirational song to play on your car sound system or phone. Most campus libraries have small study nooks tucked into out-of-the-way areas in the stacks that can be used as a place of meditation and prayer. Just make sure it’s a different place than your usual study spot. You want your meditation hideaway spot to somewhere you go to separate yourself from the stress of your studies and other challenges and problems. 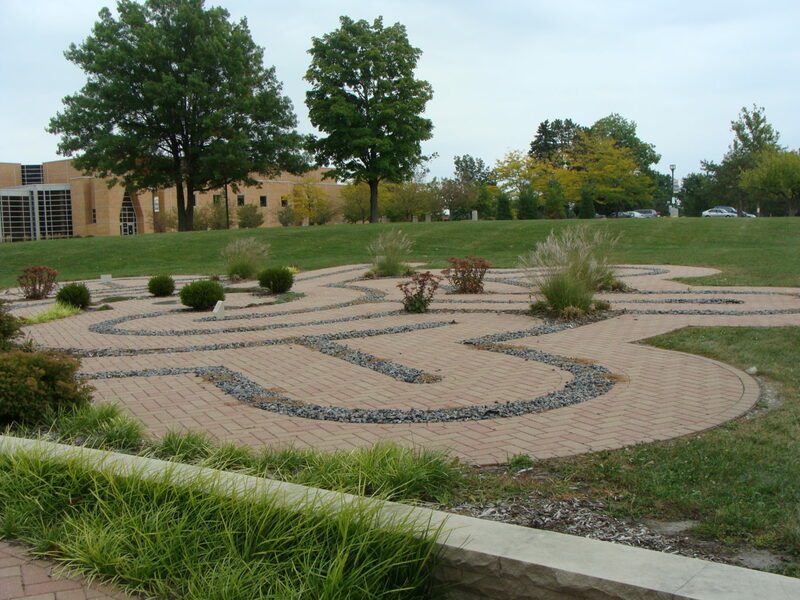 Campuses often have unexpected features that can make interesting places to meditate and pray. Examples are an art gallery or a small museum. You can also find a spot near a bell tower that chimes the time and then sit quietly while awaiting the striking of the hour. Our university campus had an agricultural school. One day I discovered that way off on the edge of a huge parking lot they actually had a barn of goats! After that, when I needed to de-stress and regain perspective, I’d visit the goat barns and pet the goats. They were actually quite friendly – though I made sure I washed my hands immediately afterward so they didn’t smell like goats! One day between classes I was really worried because my mother was having tests for breast cancer and I felt scared awaited her biopsy results. I didn’t have time to go to the chapel to pray and regroup between classes. So I found a seldom used stairway at the far end of the psychology building and sat on the top step of the highest landing and prayed. Fortunately, it turned out my mom was OK, but after that I kept in mind the usefulness of a deserted stairway as a place to be alone. This is especially important since bad news can travel with lightening speed via texts these days. Many colleges have a university hospital on or near campus. The vast majority of them have a small chapel designed for individual meditation and prayer. You can usually find these chapels open every day of the week, any time of the day or night. They often have comfortable seating, low lighting, stained glass windows and inspirational artwork. I’ve even visited some with a small fountain in it. The great thing about hospital chapels is that they usually don’t have formal services going on like might be the case if you’re visiting a campus chapel where a church service or wedding might be taking place. Often there are churches of various denominations on the edge of campus. 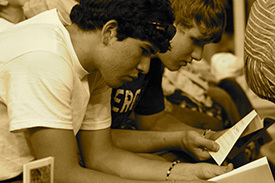 Some denominations also have outreach centers off campus focused on meeting the needs of college students. Church buildings are usually unlocked during church office hours. Find meditation music online that shows inspirational pictures with it for a brief period of refreshment and prayer. Once you’ve found a likely personal place for prayer and meditation, make sure that you visit it at a time of day when safety isn’t a concern. Make yourself aware of the location of the nearest campus safety call box and also make sure you have your cell phone with you with the number of campus security saved in it. If at any time you feel uneasy, move as quickly as possible to a public area where people are congregated. Copyright Karen Barber 2014. All rights reserved. 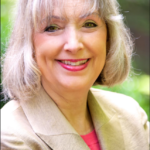 Karen Barber is the Founding Director of Prayer Igniters International, a Contributing Editor with Guideposts Magazine, the author of Surprised by Prayer and the creator of the Personal Prayer Power video/study series. Personal Prayer Power emphasizes interactive prayer, including how to find an answer to every prayer and how prayer shapes your future. Visit Personal Prayer Power to order or for more information.